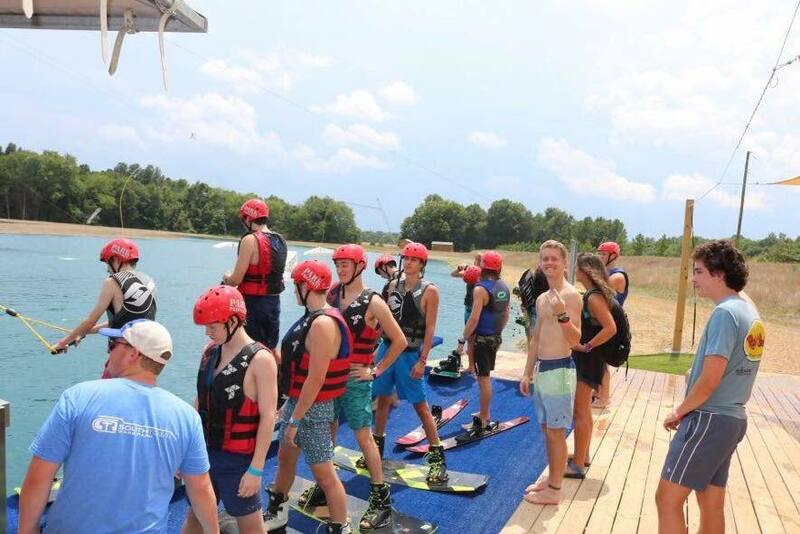 SouthTown Wake Park is the perfect place to celebrate a birthday or host a group event. Whether it is a company party, religious retreat, birthday party or just a bunch of friends that want to have fun together at the park, we have an event package for you. Our Aqua Park is an inflatable obstacle course that is a fun, no-skill-required activity that is perfect for a fun group event in the sun! SouthTown Wake Park’s trained coaches make it easy to learn how to wakeboard. Learning a new sport is always fun with friends! We strive to accommodate all kinds of groups, so give us a call and we will customize a group event for you! Whether it is a company party, religious retreat, or just a bunch of friends that want the park to themselves, we have a event package that will suit you. We offer full cable and starter lake rentals to give you the most flexibility possible. Click the book now button to contact us and ask for available dates as well as to ask any further questions. All rental packages include any required gear as well as our staff of trained coaches and operators. To book a date please call our pro shop or email us at info@southtownwakepark.com. Want to have your birthday at SouthTown Wake Park? You are in luck! We now offer 2 Birthday Party packages for groups of 10 or more. Aqua Park Party: starting at $13.50 per person includes a session on our fun Aqua Park and picnic tables for your celebration. Wakeboarding “Get Started” Birthday package: starting at $350. This includes a 2 hour private rental of the starter lake, all required wakeboard gear, our staff of trained coaches and operators, as well as the rental of our SUPs and Kayaks. To book a date please call our pro shop or email us at info@southtownwakepark.com.